This breathtaking LED Chandeleir with White Finish is a beautiful piece from our Alloha Collection. With its sophisticated beauty and stunning details, it is sure to add the perfect touch to your dicor. This LED Nightlight turns itself off at dawn and on at dusk. Convenient for bathroom, bedroom, kitchen, and halls. 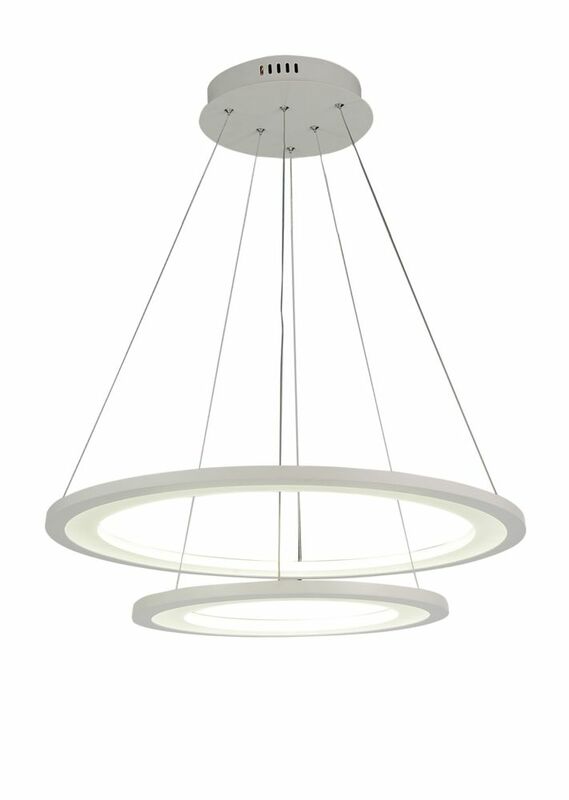 This breathtaking LED Chandeleir with Bright Nickel Finish is a beautiful piece from our Aviva Collection. With its sophisticated beauty and stunning details, it is sure to add the perfect touch to your dicor. EnlightenLEDs are a great way to light up the interior of your home. The LED light strips are very flexible and can be cut to fit just about anywhere. Made from the best material available, EnlightenLEDs are proven to be the most efficient, brightest, purest light on the spectroradiometer scale. At EnlightenLEDs we take pride in manufacturing LED lights from scratch using our own factory with state of the art equipment managed by the industry's leading technicians. After rigorous testing and grading, the best LEDs are chosen from a scale of 1-132. Only the finest material is used from beginning to end when making these LED lights. Since we know everything that goes into our LED lights are first-rate materials, we proudly display the technical information on each package. Made with high quality machinery using premium-grade materials, EnlightenLEDs are durable, bright and the top choice for consumers looking for first-class products. Alloha 24-inch LED Chandeleir with White Finish This breathtaking LED Chandeleir with White Finish is a beautiful piece from our Alloha Collection. With its sophisticated beauty and stunning details, it is sure to add the perfect touch to your dicor.